The story of so near and yet so far continues for English football ever since the only time the team captained by Bobby Moore won the World Cup at home in 1966. The previous occasion when England played a World Cup semi final against the then West German squad in 1990 I watched the match in the Stadio delle Alpi in Turin the home stadium of the Juventus football club owned by the Agnelli family who founded the automobile giant Fiat - the most well known landmark of the north Italian city. It was a hot afternoon and I came to the stadium riding a tram - it continues being an important part of the public transport network - packed with German fans. So the feeling coming into the stadium was about the inventors of the world s most popular sport England waiting to clash with a West Germany smarting from its previous defeats at this level in 1982 and 1986. It was a working-class game waiting to be played in an industrial city. The fall of the Berlin Wall was near at hand and Italian police were out on the streets in numbers to check English football hooligans. 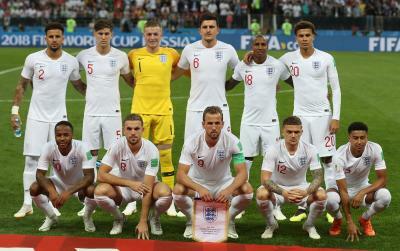 What followed at the Alpi was a pre-vision of what happened on Wednesday at the Luzhniki stadium in Moscow which gives the feeling that the force of the collective anguish at England s football failures on the world stage gains strength from the fact that it has the richest domestic league. England themselves were smarting from the Hand of God goal against them in the previous 1986 edition in Mexico City by Diego Maradona who had led Argentina to victory over Italy in the other semi-final the day before in Naples home of Maradona s former club Napoli. That day in Turin the match remained goalless till half time. A foul by England s Stuart Pearce in the second half lead to a free kick by Andreas Brehme in the 59th minute which was deflected into his own goal by Paul Parker. England equalised in the 80th minute through striker Gary Linekar who holds England s record for most goals in FIFA World Cup finals. West Germany won the match 4-3 on penalties after extra time. The Turin match is also famous for England s brightest talent then - midfielder Paul Gascoigne - breaking into tears after a getting a second yellow card which would have kept him out of the next game. The Turin defeat marked a watershed and the 1990s were to witness the rebirth of English football. The idea of the Premier League started to take concrete shape stadia attendances improved the clubs had more money and began to attract high quality foreign talent. All this led to the coming of the "golden generation" of footballers led by David Beckham. England s defeat in Moscow on Wednesday was only the second time that a team in a World Cup semi-final has lost the match after leading at half-time. The other time was in 1990 in the second semi final at Naples when Argentina beat Italy on penalties. England has also never won a World Cup semi-final on foreign soil. The 1990 edition had its share of starts led by Maradona who along with the legendary Pele is FIFA s greatest player of the 20th century. He led Argentina to yet another World Cup final but dogged by an ankle injury he was much less dominant than four years earlier in Mexico. West Germany was led by the incomparable Lothar Matthaus the most capped German player of all time who glided over the midfield like a ballet dancer with his precision passing. The team coach was Franz Beckenbauer nicknamed the Kaiser who is only one among two footballers to have won the World Cup both as a player (1974) and as a manager. The other is Mario Zagallo of Brazil which feat France s coach Didier Deschamps hopes to emulate on Sunday after having won the cup at home in 1998. The Russian edition was perhaps England s best chance to bring home the cup given that the big five of football - Brazil Argentina Spain Germany and Italy - did not feature in the semi-finals. Croatia with a population of 4 million is in the finals for the first time.